Darryl Smith is a Philosophy and Social Psychology enthusiast who studied Computer Science at University of Maryland. His belief's are based on integrity, quality, and maintaining a positive attitude. To him, the word impossible simply lacks the imagination requirements for I'm possible, and can only limit the ability to quickly adapt to new ideas and situations. Once upon a time, he was a rural carrier for the USPS and after stumbling through the art of delivering packages while dodging 4 legged hazards and natural disasters, decided it was time for a change. 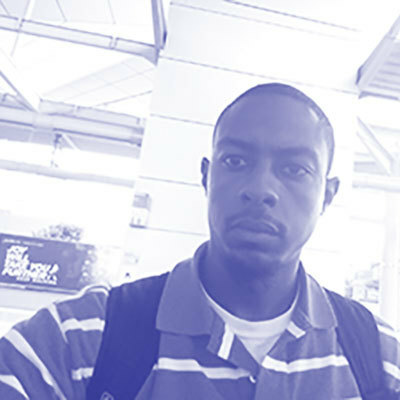 After graduating, he was presented with an opportunity to explore living abroad while working as a contractor for the US military. He took the chance and through a myriad of mentors, trouble tickets, and systems, an IT technologist was forged. Currently, he is working towards building better habits as he learns what water really is as a Site Reliability Engineer on the Kessel Run initiative. He counts Yugioh, family, traveling, and reading among his many interests.